Are you worried your kids are spending too much time on their iPads, smartphones or in front of the computer? It’s safe to say you’re also worried about their health, posture and the life they’re missing out on in the outside world. If you’re looking for an activity that is perfect for growing bodies, developing minds, with lessons to prepare your child for the future, then BJJ is just the thing you’re after. You may think balance and coordination is something most of us are blessed with at birth; however, children who are physically active in sports like BJJ learn how to control gross motor skills (general movement) much more effectively than kids who are sedentary. This is important for them as they navigate through life, as having greater control over their bodies can reduce the potential for injury; e.g. the instinct to put their hands out for protection if they fall from their bike. It’s no surprise that martial arts can build confidence in children who may feel threatened by other kids, or who are bullied at school. However the development of gross motor skills, mentioned earlier, is also important for you child’s confidence. Generally, children who haven’t yet developed a good level of coordination and balance may feel apprehensive about joining in on activities with other children, negatively affecting their self-esteem. 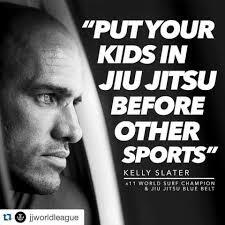 However, this is a curable issue and participation in BJJ can go a long way in improving your child’s confidence. As mentioned earlier, developing gross motor skills will go a long way in improving your child’s likelihood of participation in activities with other children. Another way BJJ will help your child is through the interaction they gain with other children. 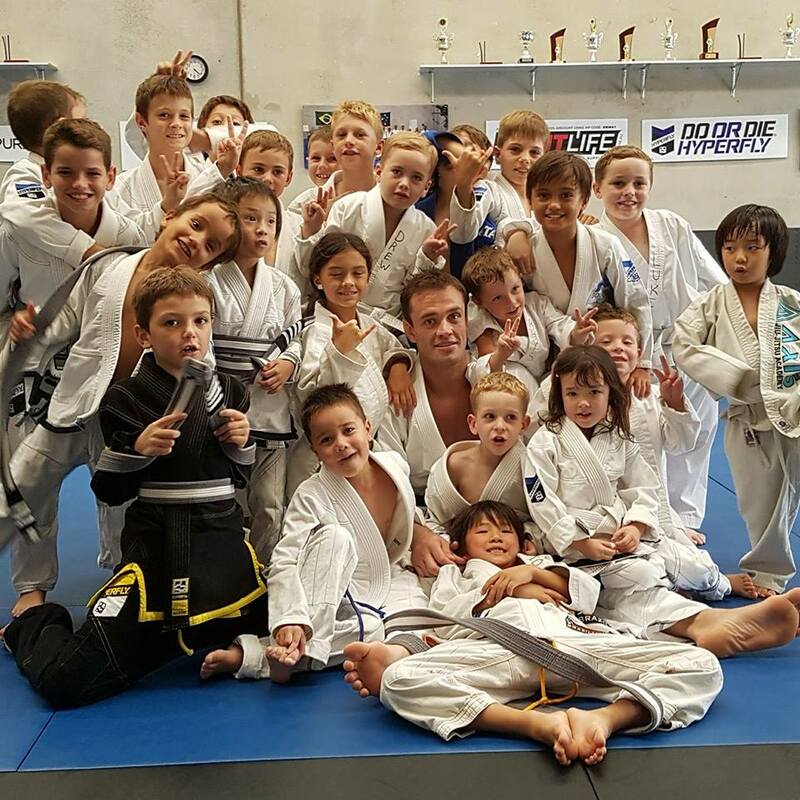 While BJJ develops the individual, the art is practiced within a team and children learn that, even though at times they may compete with each other, they are still friends. This is important for emotional development and how they perceive relationships with others in the future. Plus, developing friendships with other kids is something your child will cherish forever. Besides the motor skills discussed earlier, BJJ is great for developing strong healthy bodies and reducing the risk of childhood obesity. One of the stand out benefits BJJ has over other martial arts for your child is the ability to learn from their actions with little risk of injury. Kids learn what works and what doesn’t during class via their actions and the following consequences; e.g. they attempt a sweep, but fail because of reason X. In striking dominant martial arts, this lesson can result in a whole bunch of tears and bad times; however, in BJJ all your child need do is tap out and they can restart again happily with no risk of injury. Learning about consequences is extremely important for your child’s future, as it is an executive function related to impulse control and the effect their actions will have on themselves and those around them. This also teaches your child the ability to learn from their mistakes, as they can see what went wrong and what they need to do to fix it; a skill essential in their schooling and future adult lives. 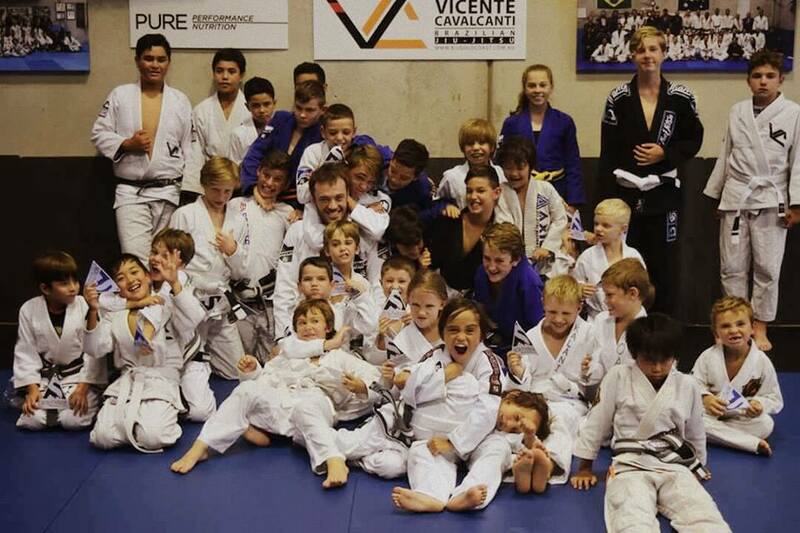 The main reason your kid will love BJJ is the fact that it’s just good FUN. There’s nothing better for your child than an activity that develops their mental and physical bodies that they love and want to go to, day after day. If you have any enquiries about our kids classes at either our Burleigh or Ormeau academies, feel free to contact us on 0451 011 584 or pop by to check out one of the classes. Everyone is welcome – and who knows, maybe you’ll want to join in too.